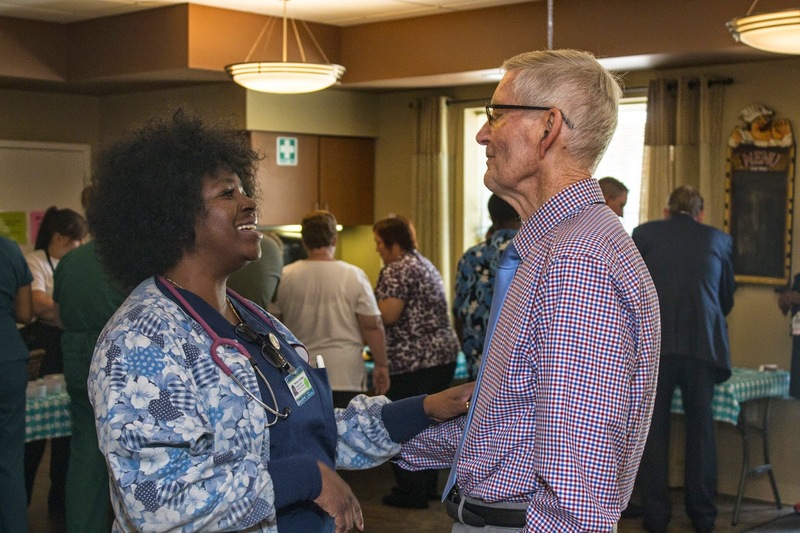 Special Tree staff and clients gathered at the NeuroCare Campus on Tuesday, July 1, 2014 to surprise Dr. Joseph J. Richert with a special celebration to honor him as he retires after 55 years as a family physician and more than 35 years as Medical Director for Special Tree. 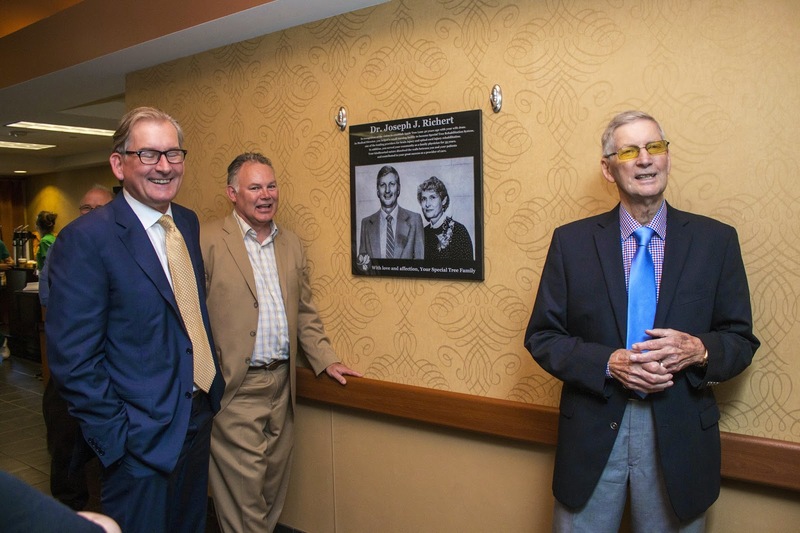 President &amp; CEO Joseph C. Richert commended his father for his service to our clients, our staff, and to the community before unveiling a plaque which now hangs in the main lobby of the Neuro Care Center North. 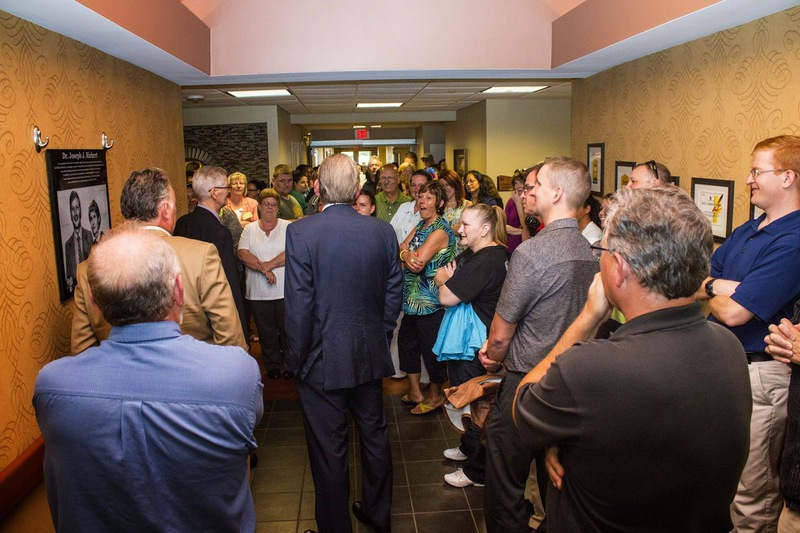 After seeing the plaque, Doc shared a few words with the staff, clients, and family members who had gathered to honor and celebrate his life's work. 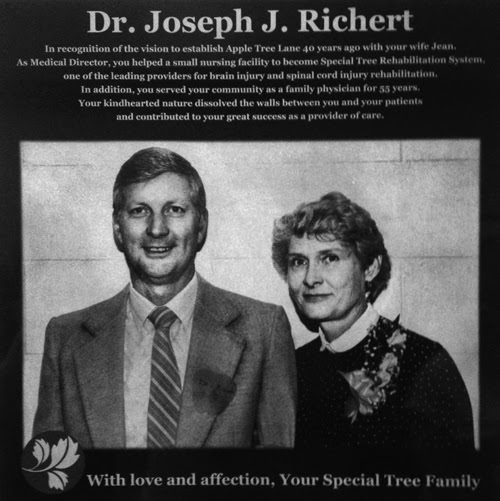 Dr. Joseph J. Richert, affectionately known to all as "Doc," along with his wife, Jean Richert, and others, had the vision to establish Apple Tree Lane, now known as Special Tree Rehabilitation System, 40 years ago in November of 1974. 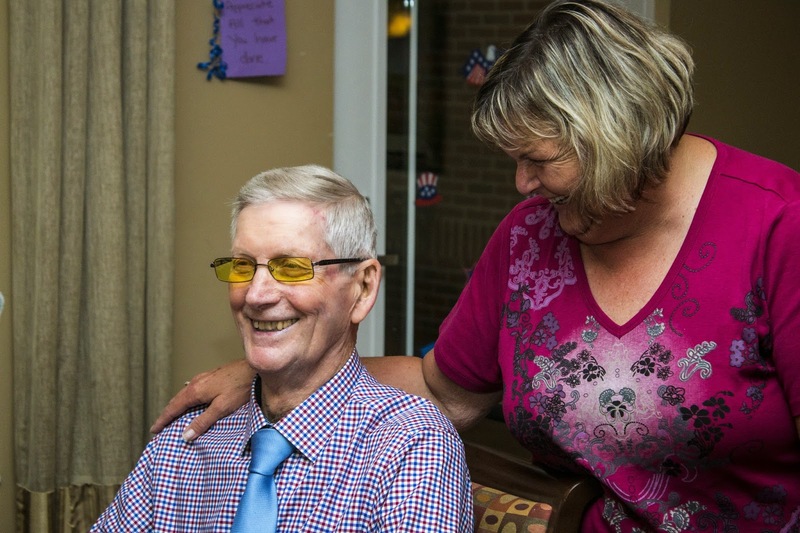 He served as Medical Director for nearly the entire time since, before stepping down just a few years ago, shifting to a supporting role as Medical Director, Emeritus. 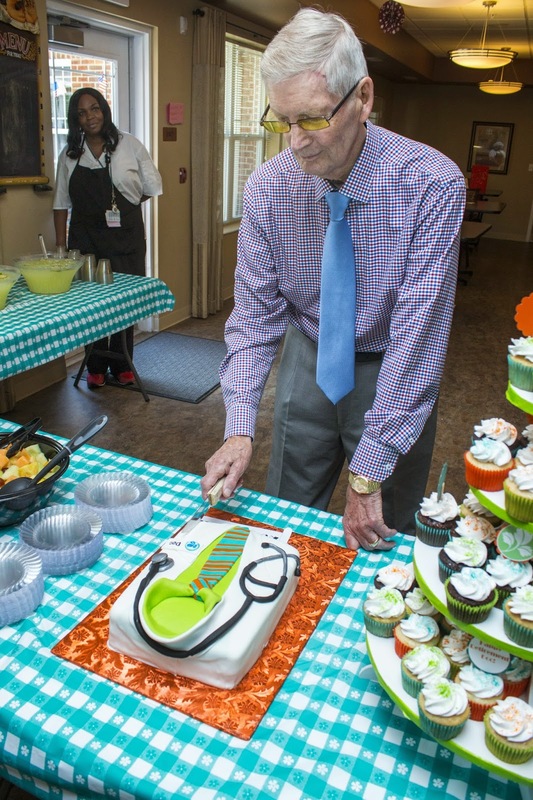 This spring, he officially retired as a family physician, though he'll always be "Doc" to us. 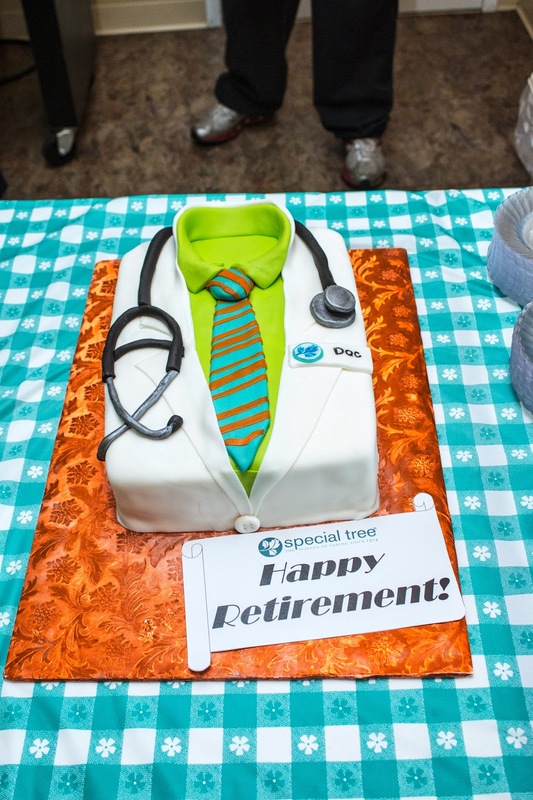 The festive event called for a special kind of dessert, so Special Tree’s own Cathy Wojtas, Residential Administrative Assistant and Baker Extraordinaire, whipped up a cake in the shape of a doctor’s white coat, complete with Special Tree logo. The Special Tree Dietary team contributed to the spread with a delicious assortment of tea sandwiches and punch. 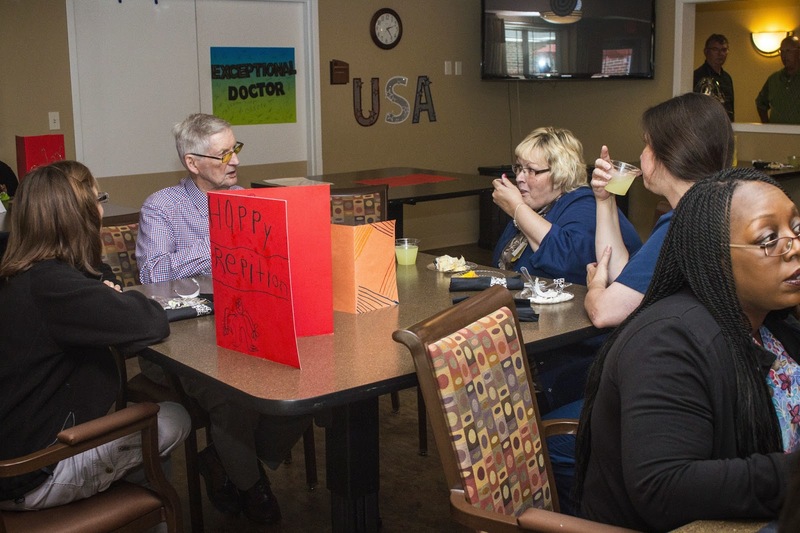 Staff presented Doc with an oversized greeting card which they had all signed. It was a very fitting event for the caring, modest, gentle spirit who made such a tremendous difference in the countless lives he touched over the years. Thank you, Doc, for all you have done and for the lessons you have taught us. We love you!